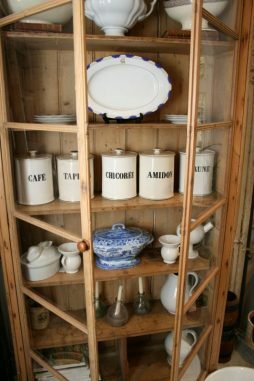 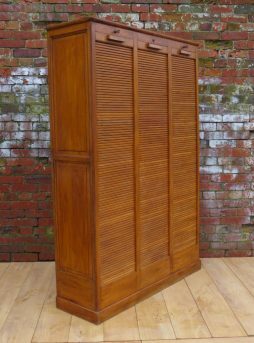 Antique Cupboards | Interior Boutiques – Antiques for sale and mid century modern furniture, french furniture, antique lighting, retro furniture and danish furniture. 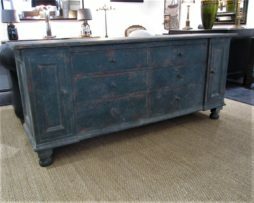 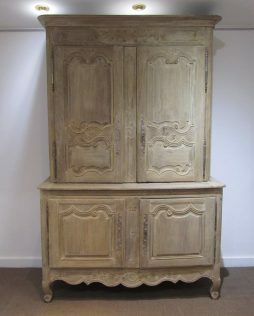 Early 20th century French four door, three drawer bleached oak buffet deux corps with working locks and keys. 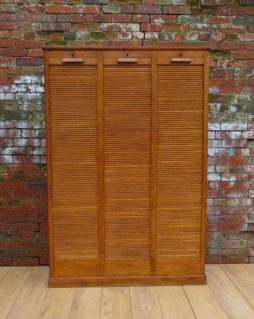 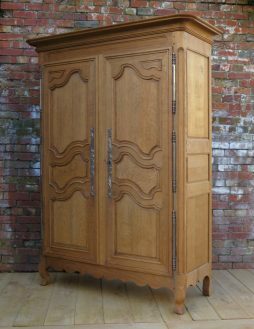 Mid 20th century French oak industrial triple tambour front haberdashery cabinet with adjustable shelving and working locks and keys. 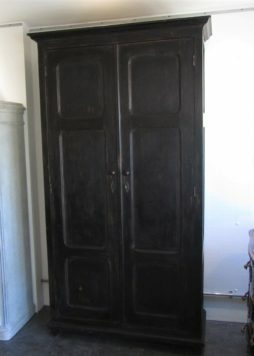 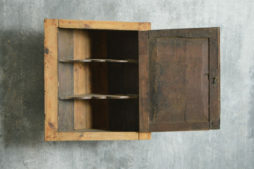 Outstandingly beautiful ‘Reliquary’ or Sacristi Cupboard/Cabinet from Spain. 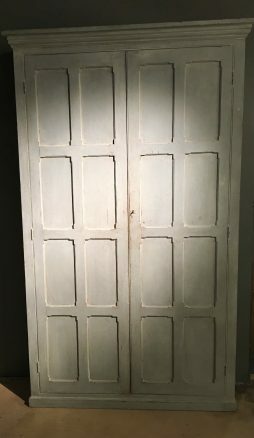 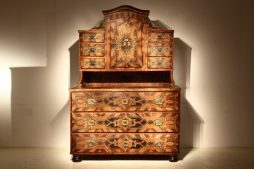 Dating from the late 17th- early 18th century , the pine and fruitwood cabinet’s main feature are the fabulously hand- painted doors designed to be seen from the outside. 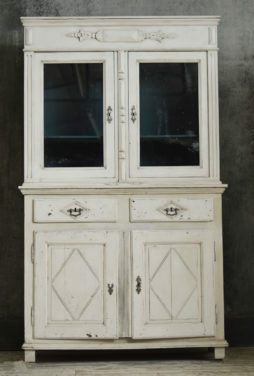 In the outer remains of very old paint, the cabinet might originally have displayed a reliquary or processional figure such as a saint or virgin. 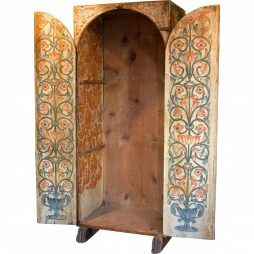 The inside of the cabinet also has painted or stencilled motifs and has old shelf supports still attached so that possibly at another time it was also used more as a cupboard in a church for storing the priests’ vestments etc. 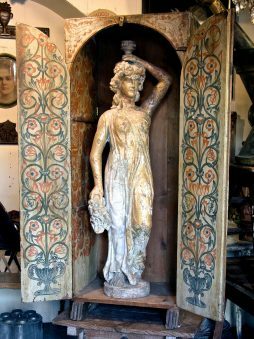 The primary photo shows a female figure from my own collection to give an example of the display potential.. 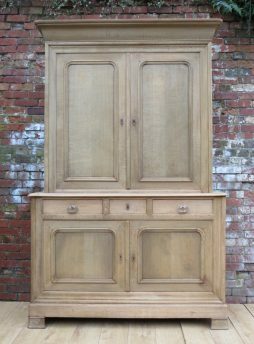 Simple Kitchen Cupboard with glass panelled framed doors dating back to 1900. 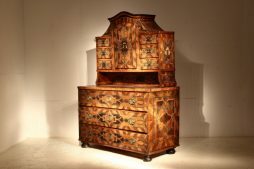 19th Century half glazed buffet deux corps. 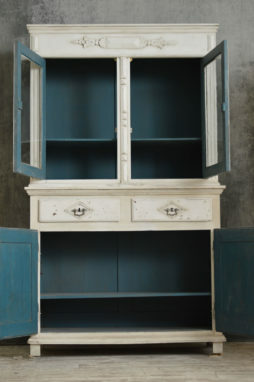 Great Scandi look to this cupboard with half glazed display case with a blue interior. 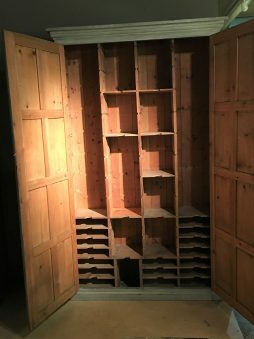 Two drawers and two door storage below. 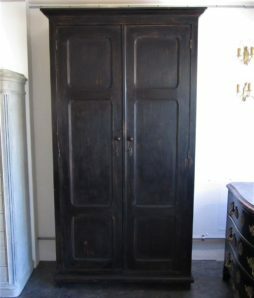 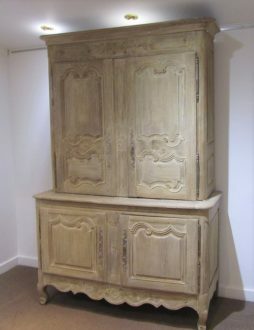 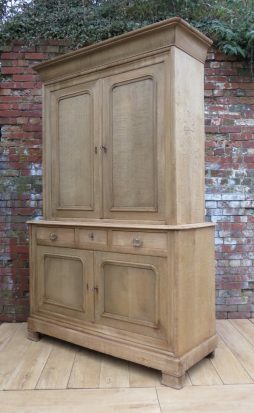 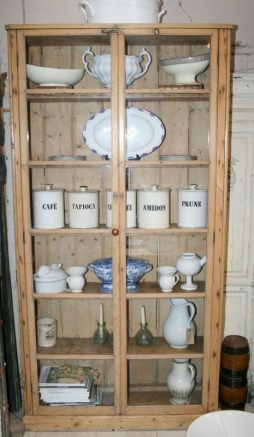 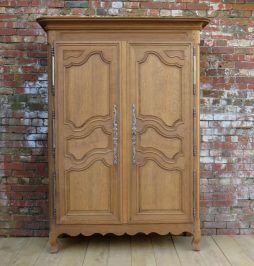 19th Century French Corner cupboard. 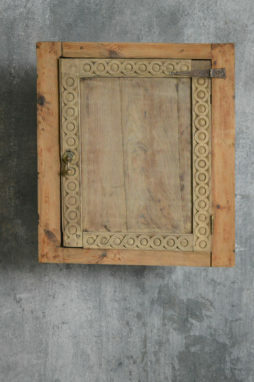 Made of Oak and Pine and hand carved.